In ''what seems like another life'', I was a US Marine, which allowed me to obtain a BA degree in 1975 from Kent State University with a double major in Anthropology and Political Philosophy. Since then I have been a farmhand, folk musician, luthier, insurance agent, square dance fiddler, fur trade era rendezvous musician and aficionado of the French and Indian War. Two of my articles on Christopher Gist have been published in Muzzleloader Magazine. Currently my significant other and I make jewelry with a strong Southwestern look (Leslie lived in Taos, NM for many years) and sell it at national level arts and craft shows across the country. In some of these shows, garbed in period clothing, we demonstrate and tell about the history of our craft. We live in the hills of east central Ohio. My interest in Old Time music as a fiddler and banjoist leads me to attend music festivals and collect Appalachian fiddle tunes. 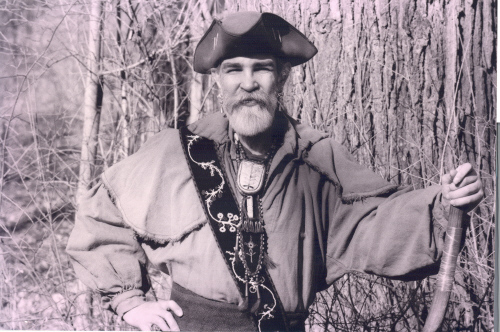 With the release of a second CD, this one about frontier fiddling, I am playing more "in character" as an eastern "frontiersman/fur trader" who happens to play fiddle. 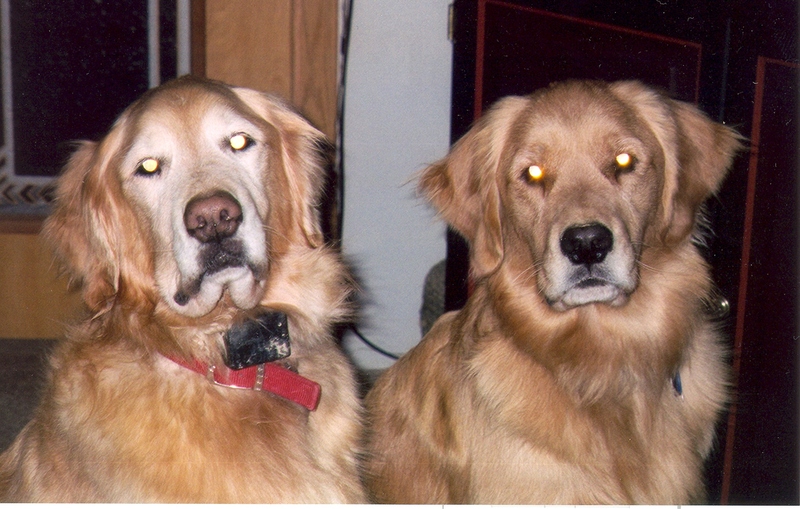 No Bio of Chris would be complete without a picture of the two golden dogs that bring so much joy into his life. 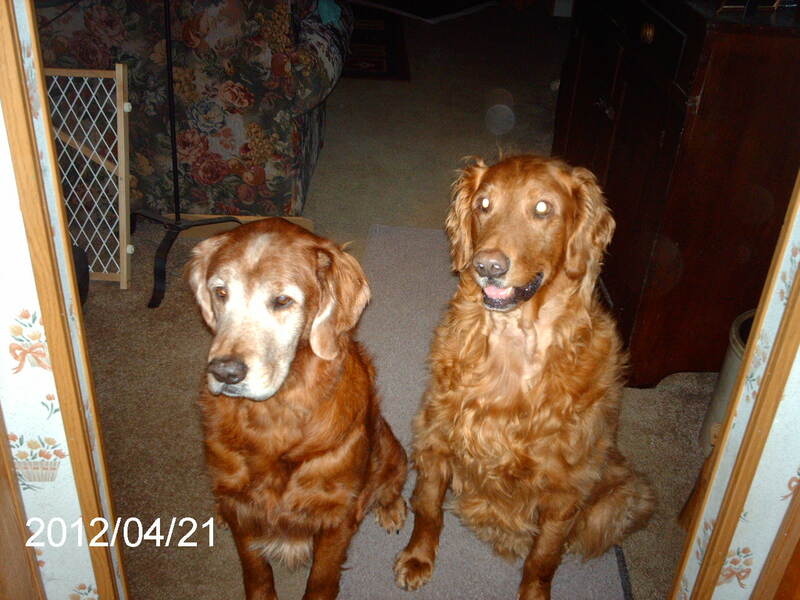 On the left is "Big Scioty", soon to be 8 years old on Jan 2, 2006. Next to him is Neekanuh, having turned 4 years old Nov 11th. No, these are not designer names, but come from Chris’ study of Native People of the Eastern Frontier. The name ''Big Scioty'' comes from the Scioto River, which flows through Columbus south to Portsmouth on the Ohio. ''Scioty'' is anglicized from the Wyandot Indian word "scionto" meaning "deer" and is fitting because Sci, as he is often called, likes to chase the deer that traverse Chris and Leslie’s property. And of course, "Big Scioty" also refers to the fiddle tune from the Hammons family of West Virginia. Sadly, both Scioty and Neekanuh have passed on. But after only eight dog-free months these two Copper Goldens came up for adoption from Golden Treasures Rescue in Clinton, OH. It was in March 2012 that we brought Elijah (L) and Abraham (R) home. They were ages nine and seven then, a father/son team whose owners had died. We kept their given names and are semi-retiring together in the Ohio countryside.